피렌체의 유명한 두오모 성당을 둘러싼 사람들이 낙서처럼 그려진 토트백이 등장했다. 구석에서 솟아나온 오바마 대통령의 캐리커처는 이 가방이 단순히 지역 관광객들을 겨냥해 디자인된 게 아니란 걸 보여준다. 이 가방은 피렌체, 그리고 피렌체가 낳은 패션 후계자를 구하기 위해 등장한 새로운 인물을 향한 예술적인 몸짓과도 같았다. 이태리 패션하우스 푸치의 리브랜딩은 너무나 드라마틱했다. 피렌체 보볼리 정원에 위치한 고대 석조건물에서 공개된 이번 컬렉션은 푸치의 고상한 창립자에 반하는 젊고 반체제적이며 악동다운 메시지를 전달하고 있었다. 에밀리오 푸치는 비행기가 새로운 여행수단으로 등장하고 카프리나 깐느가 인기휴양지였던 1950년대에 새로운 부호인 젯셋족들을 위해 옷을 만들어냈었다. 에밀리오 푸치의 딸인 라우도미아 푸치는 새로운 크리에이티브 디렉터 마시모 지오르게티가 온 것에 대한 흥분을 감추지 못했다. 리미니 출신의 38살 마시모 지오르게티는 2010년도에 이탈리아 보그가 주최하는 젊은 디자이너들을 위한 <차세대 디자이너상(“Who is On Next” award)>을 수상하고 밀라노에서 자신의 브랜드 MSGM을 빠르게 성장시켰다. “너무 빨리 지나갔네요. 한달 반 동안 준비한 컬렉션이랍니다. 상대적으로 오늘은 매우 중요한 날이죠. 새로운 제작방식과 로고, 모든 새로운 것들을 탐색하는 셈이거든요.” 이미지 디렉터이자 실무적인 CEO인 라우도미아 푸치가 말했다. 곧 밀라노에서 열리는 남성복 시즌에서도 컬렉션이 공개된다. 마시모 지오르게티는 스포티함과 예술성이 결합된 의상을 입은 첫 번째 모델들이 런웨이에 발을 디디기도 전에 자신의 비전을 드러냈다. 이번 컬렉션은 민트 그린과 연핑크의 비스듬한 사각형처럼 밝으면서도 연한 컬러들로 구성됐다. 또한 흐드러진 야생화가 팬츠수트 위에 프린트되거나 수놓아졌다. 남성용으로는 하얀 바탕에 검은색으로 “관광객들”이 그려진 편안해 보이는 셔츠가 등장했다. “작은 쇼에요. 우리는 예술학교 근방 피렌체가 근거지이기 때문에 이 장소를 선택했죠. 이번 컬렉션은 피렌체와 에밀리오, 그리고 푸치 브랜드에 대해 감사를 표하기 위한 선물이라 할 수 있습니다.” 마시모가 말했다. 너풀너풀한 금발머리를 한 아주 젊으면서 살짝 예술적인 여성들이 입을 법한 인상이었다. 때론 한꺼번에 등장하기도 하는 프린지 스커트와 가방에는 럭셔리 히피 풍이 가미되었다. 은빛 코를 가지거나 피렌체의 꽃인 백합이 우아하게 엮인 새로운 브랜드 로고(대부분의 소비자들이 그 꽃 문양을 알아볼까 의심스럽긴 했지만)가 들어가는 등 구두들은 근사했다. 과거의 푸치 디자인에 대한 내 기억과는 별도로 이번 컬렉션 쇼는 꽤 괜찮았다. 에밀리오 본인 뿐 아니라 프랑스의 크리스찬 라크르와, 영국의 매튜 윌리암스, 그리고 가장 최근에는 아트 디렉터로서 6년 간 함께 했던 노르웨이 출신 피터 던다스 등의 작품까지 모두 포함해서 말이다. 과거에는 언제나 이브닝 웨어가 등장했지만 마시모는 이번 때이른 인터시즌 컬렉션에서 이를 생략했다. 개인적으로 두 개의 실크 스카프로 만들어진 매끈한 톱과 같이 일부 의상들은 날렵하고 우아했다. 이번 쇼는 그러한 매끈하면서 우아한 요소들을 좀더 가져왔어야 했다. 새로운 디자이너는 푸치에 여러 가지 아이디어를 쏟아 넣은 듯 했고, 쇼에 에너지와 달콤함을 부여하는 생기 넘치는 행복이 존재했다. 그러나 푸치의 포지셔닝이란 섬세한 문제이며 2000년도 럭셔리 거대그룹인 LVMH이 푸치의 대주주가 된 이후 언제나 의문으로 남아있었다. 푸치 만의 컬러풀하고 관능적인 소용돌이 프린트는, 디지털 발전을 바탕으로 패턴이 주요무대에 다시 등장한 뉴 밀레니엄 이후 지금까지 15년 동안에 엄청난 기회를 잡았어야 했다. 마시모는 1953년에 탄생한 에밀리오의 오리지널 프린트와 최근 아카이브에서 가져온 디자인들 뿐 아니라 “왜냐하면 지금은 2015년이기 때문에” 새로운 디자인에 대해서도 작업하고 있다고 말했다. 마시모는 또한 초현대적인 패브릭을 사용해 면 자카드와 마크라메(macramé, 서양식 매듭)를 만들어냈다. 나는 이번 컬렉션이 푸치에 새로운 에너지를 불어넣으면서 아시아 지역에서 30세 이하 젊은 층을 끌어들일 기회가 될 거라 기대한다. 이 부분은 대부분의 유서 깊은 브랜드들에게 성배와도 같다. 그러나 장기적으로는 에밀리오 푸치의 독특한 아이덴티티를 만들어주었던 것들이 더욱 필요하겠다. 귀족계급과 피렌체의 역사, 그리고 오늘날 상류층이 어떻게 살아가고 옷을 입는지에 대한 센스가 잘 배합된 향 주머니 같은 그것 말이다. 아마도 푸치가 배낭여행객이 아닌 개인적인 젯셋족들의 세계에 포커스를 맞추길 바라는 기대도 있을 것이다. 그러나 이번 푸치 쇼는 새로운 방향을 제시하는 시작일 뿐이다. 어떤 길로 나아갈지 한번 지켜볼 필요가 있다. 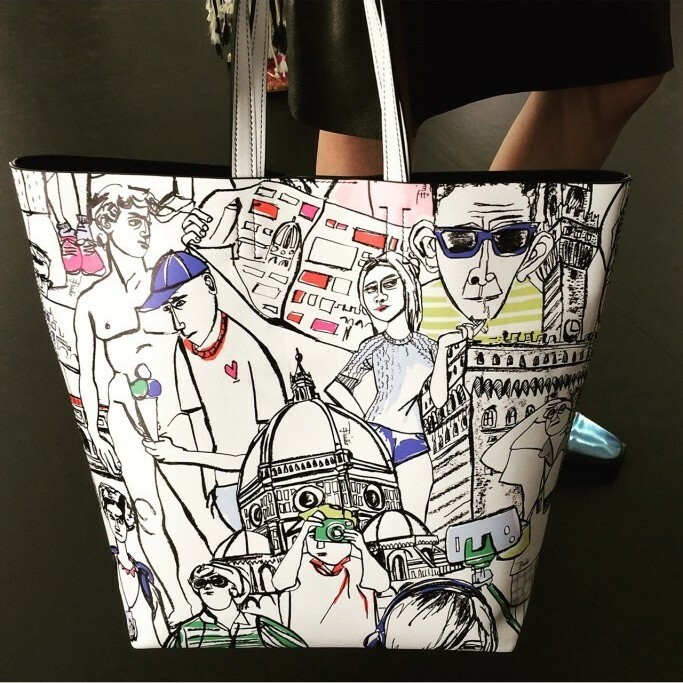 The tote bag was a scribble of faces around Florence’s famous Duomo. Looming from the side was a caricature of President Obama, suggesting that the bag was much more than some local tourist offering. 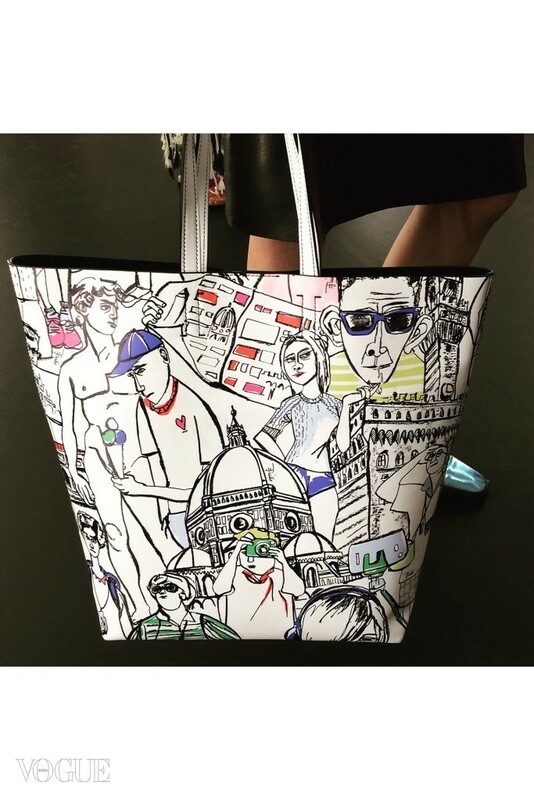 It was an artistic wink at the ancient city – and a new face for one of its famous fashion sons. 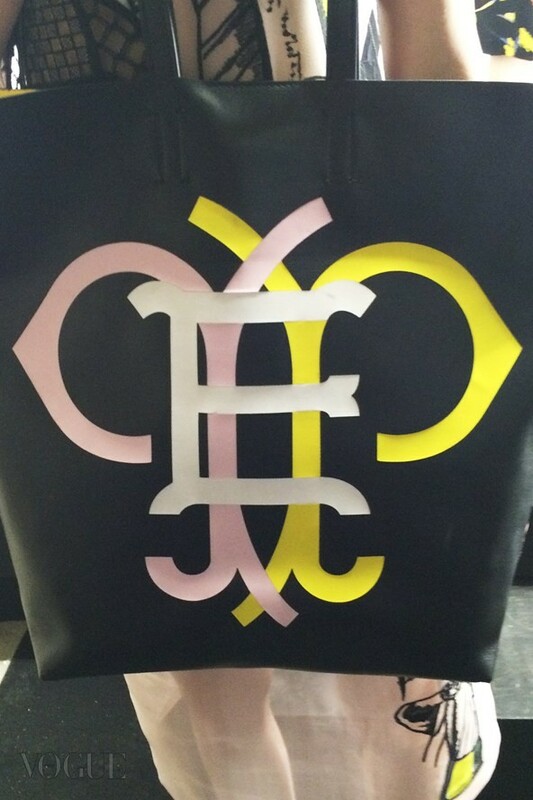 The rebranding of the Italian house of Pucciwas so dramatic that this collection, shown in an ancient stone building in Florence’s Boboli Gardens, sent out an instant message: of youth, counter culture and a cheeky take on its aristocratic founder. Emilio Pucci invented a wardrobe for newly minted jet-setters back in the 1950s when air travel was a novelty and Capri or Cannes were favoured vacation destinations. 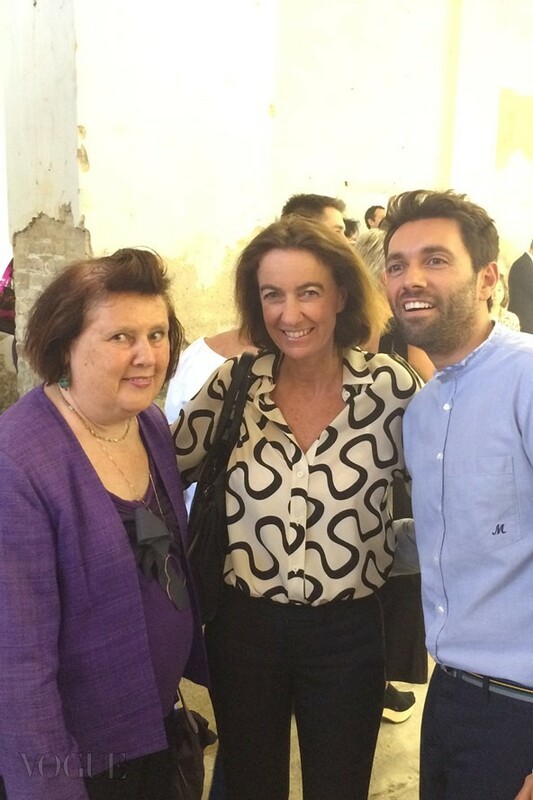 Laudomia Pucci, the founder’s daughter, expressed her enthusiasm at the arrival of new creative director Massimo Giorgetti, 38, from Rimini, who has fast been building his own Milanese brand, MSGM, since winning the Vogue Italia AltaRoma “Who Is On Next?” award for young talent in 2010. “It’s gone so fast – it has all been done in a month and a half,” said Laudomia Pucci, who is the image director of the company and acting CEO. 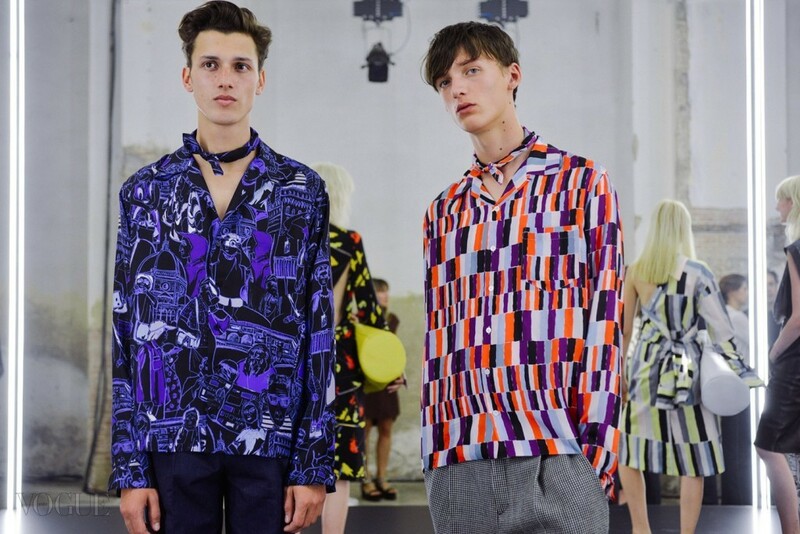 “To be relevant today is very important – it’s about exploring new fabrications, a new logo – new everything,” said Laudomia, who will offer the collection to buyers during the upcoming Milan menswear season. 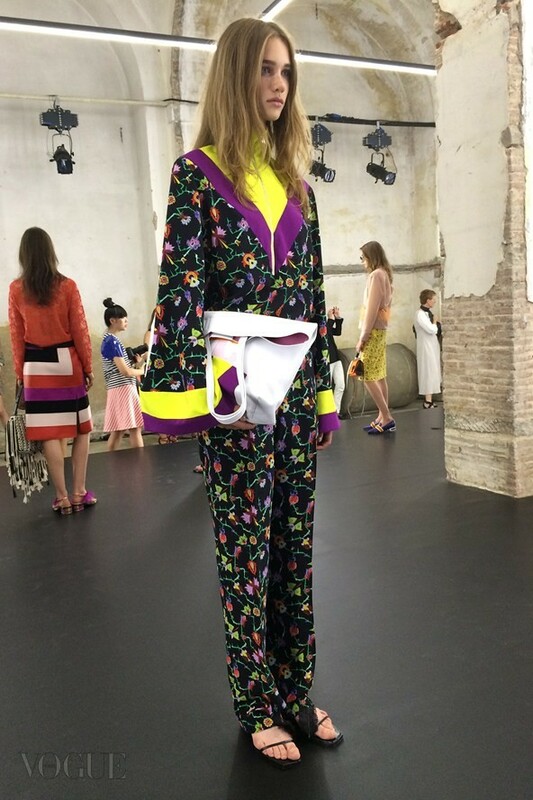 Massimo Giorgetti laid out his vision before the first models in their sporty-meets-arty looks stepped out on a platform: the collection included bright but sour colours, such as diagonal blocks of mint green and shrimp pink; and country flowers splattered – or maybe embroidered – on a trouser outfit. For men there were easy shirts with the “tourist” scribbles in black on white. The impression was of a slightly arty crowd, very young with blonde, fringed hair. 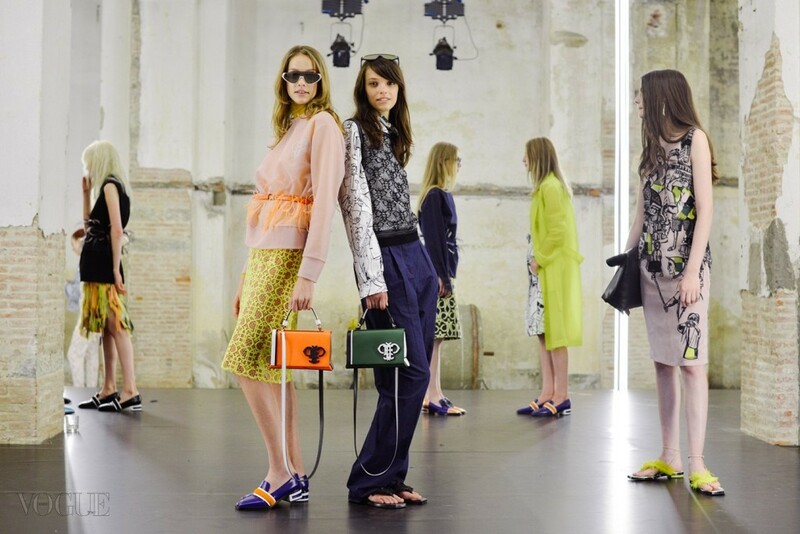 There was a touch of hippy-de-luxe in fringed skirts or bags (sometimes shown both together.) Dashing shoes included silvered toe caps and the brand new logo with a noble twist of Florence’s signature lily (although I doubt most shoppers would recognise that flower symbol). 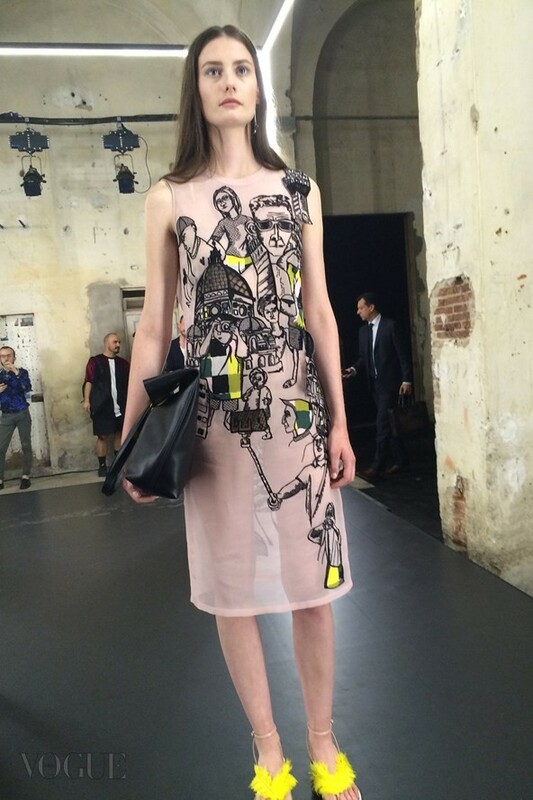 I quite liked the show, detaching my memory from any Pucci designs of the past. That included the work of Emilio himself and other designers including FrenchChristian Lacroix, British Matthew Williamson and, most recently, Norwegian-bornPeter Dundas who just left the label after six years as artistic director. They had all included eveningwear but Massimo did not in this early, inter-season offering. 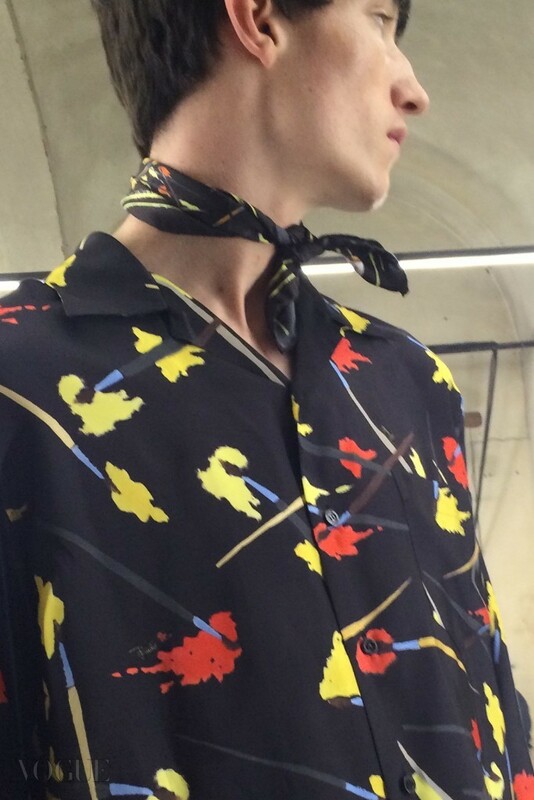 Individually, some of the pieces were sleek and elegant, such as slithering tops made from two silk scarves. The show could have used more of that sleek simplicity. 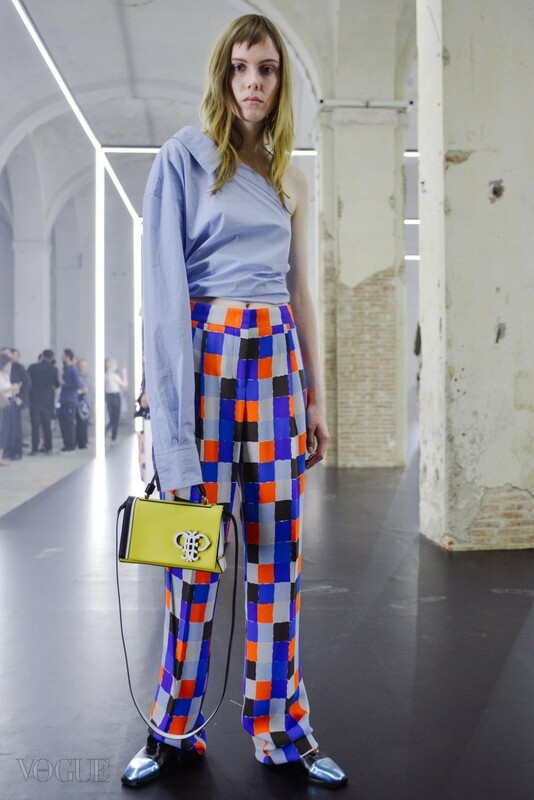 The new designer seemed to have put a lot of thought into Pucci and there was a youthful happiness about the show that gave it both energy and sweetness. 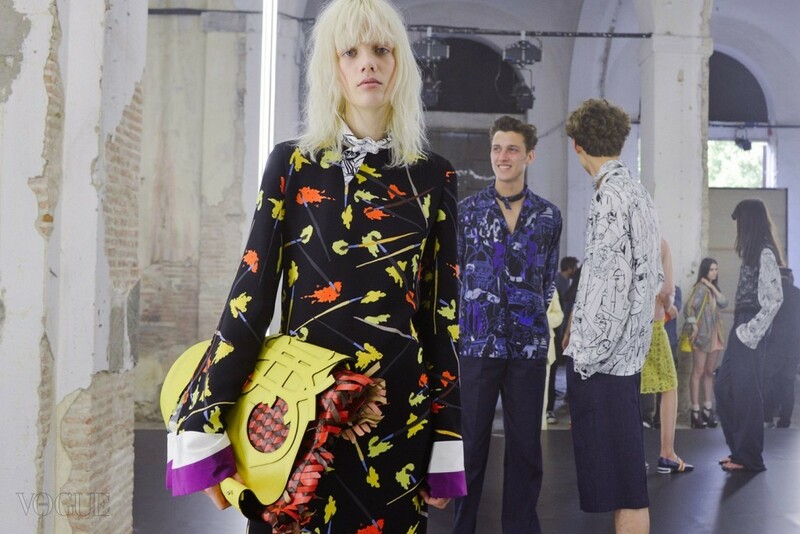 But the positioning of Pucci is delicate and seems to have been in question ever since luxury conglomerate LVMH Moët Hennessy Louis Vuitton bought a controlling share in the brand in 2000. 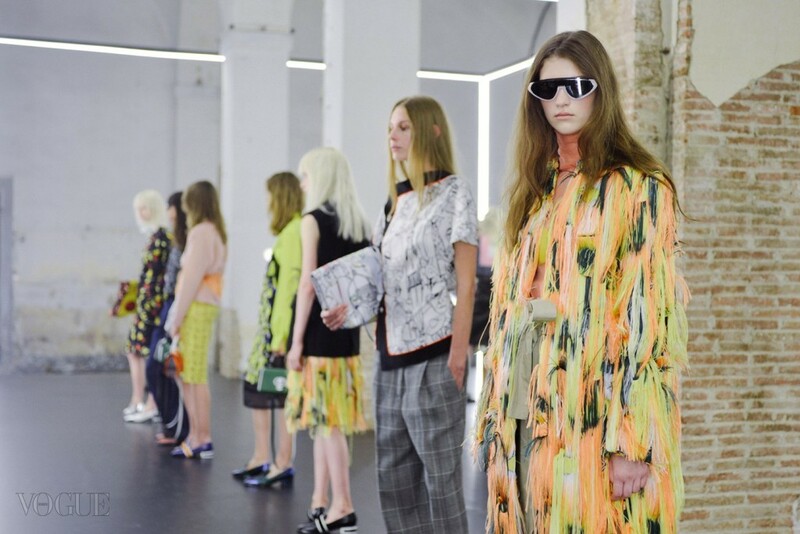 There ought to have been a great opportunity for Pucci prints – those colourful, sensual swirls – to flourish in these first 15 years of the new millennium when digital inventiveness has brought back pattern in a major way. Massimo told me that he had worked on print from a 1953 Emilio original and included recent archive looks, as well as new designs “because it is 2015”. He also explained that he had used hyper-modern fabrics to create cotton jacquard and macramé. I would expect this collection to put new energy into Pucci and open up the brand to the fashion forward under-30s generation across Asia. That is the holy grail of most heritage brands. 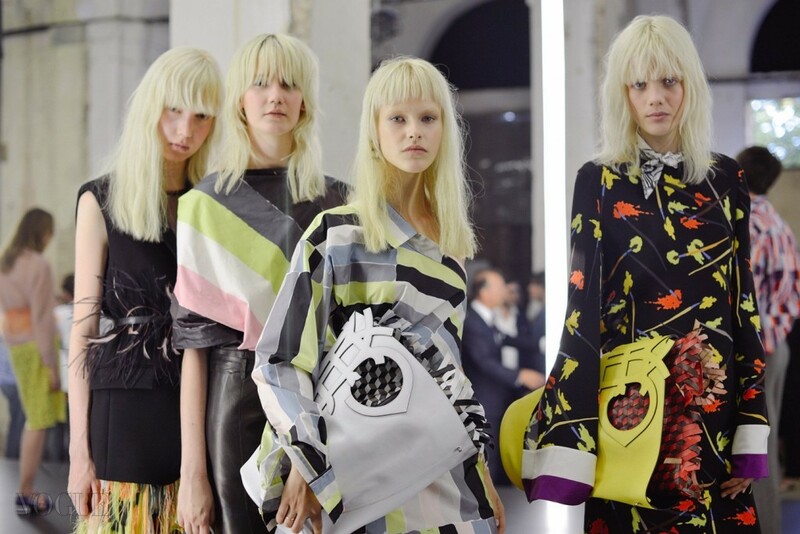 But, in the long term, there needs to be more of what made Emilio Pucci unique: a pot-pourri of aristocratic class, Florentine history and a sense of how the upper echelons of society live and dress today. The brand might be expected to focus on the world of private jet-setters – not Easyjet travellers. 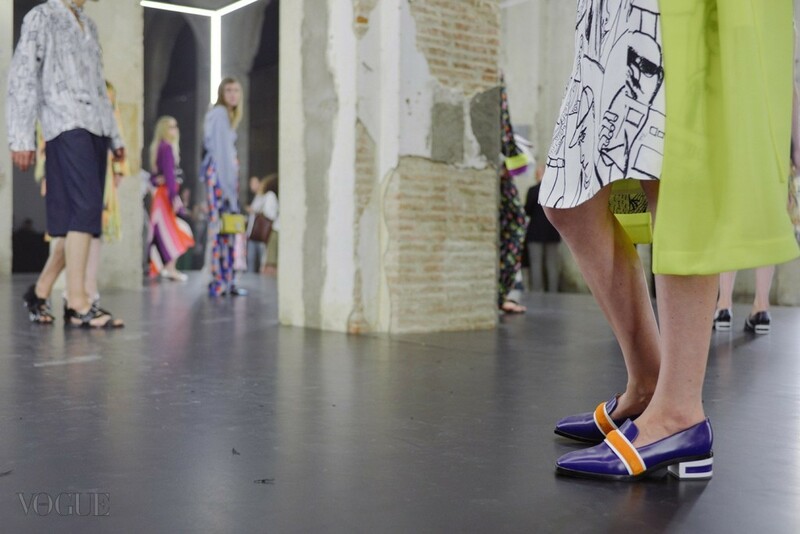 But this Pucci show was just the start of a new direction. Let’s see where it lands.